You hear from me today as I sit on a camp chair in beautiful Cascade, Idaho. Everyone else is napping and I already finished my nap. Now all I hear are snores, birds, and cars pass by. Earlier we heard a fawn calling for its momma. It’s so peaceful and beautiful up here. This weekend we are camping and celebrating Just Be. No men, no kids, no drama. Just us women having fun. So far attendees made drums and shakers, took naps, and talked and talked. Most importantly, just be. I had a hard time being productive this week. I only made 3 blocks. But that’s ok. I made more than my quota other weeks. I also picked out a name for the quilt. 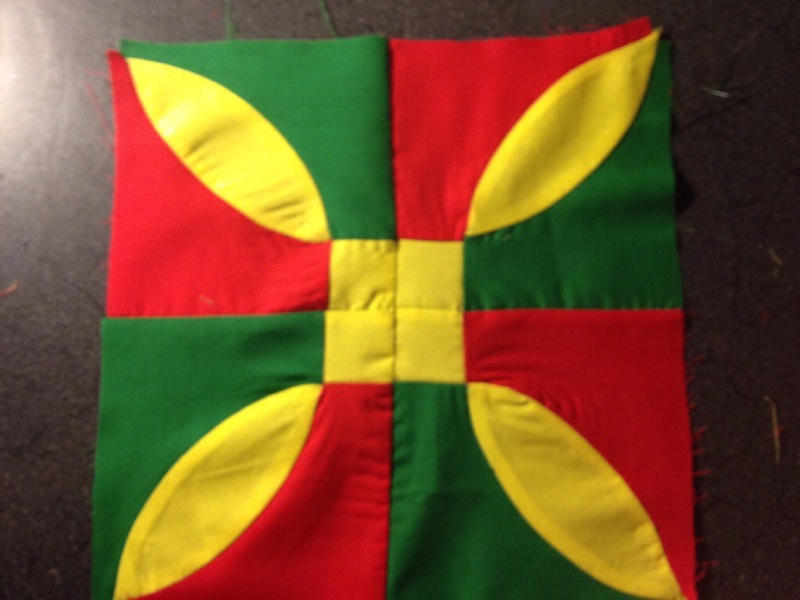 As a tribute to the Dear Jane quilt from the American Civil War times, I will name this quilt Dear MaryJane. What do you think? This one is called Idaho. I figure I will also make the block called California and Road to California. Seems appropriate. This one is called Peace and Plenty. 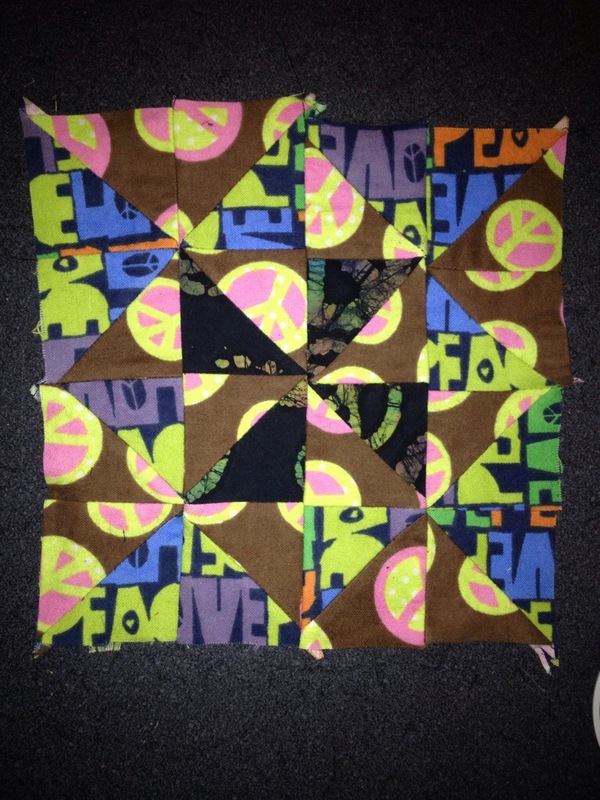 I chose fabric with peace symbols. 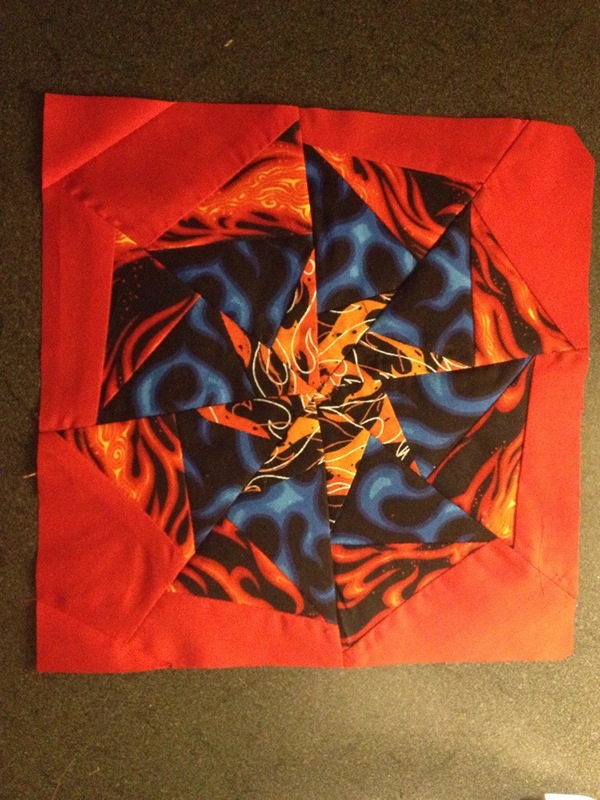 I think it’s a bit too busy to see the pattern but being 1/160, it will disappear in the quilt. Even though I couldn’t sew while camping, I was creatively productive. 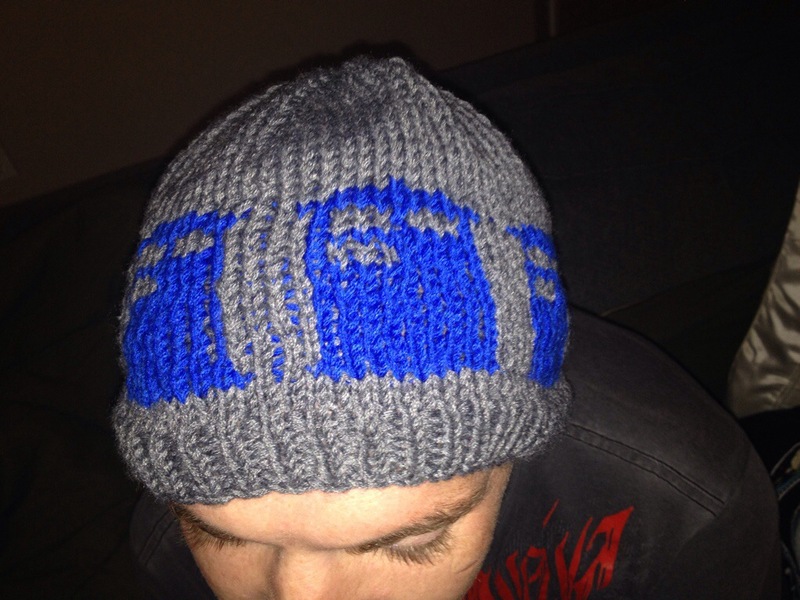 I was able to finish my bf’s beanie. 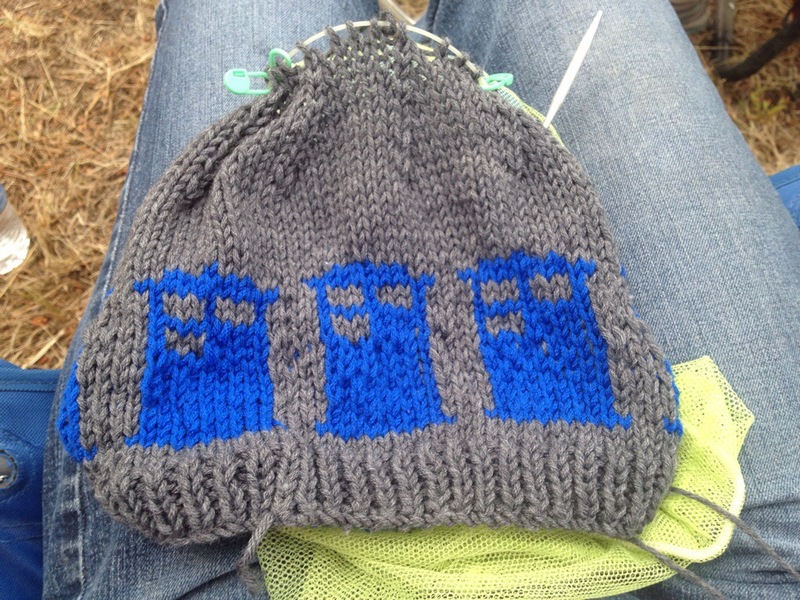 I found a pattern on Ravelry for this TARDIS beanie.